Hello, hello! What a month. 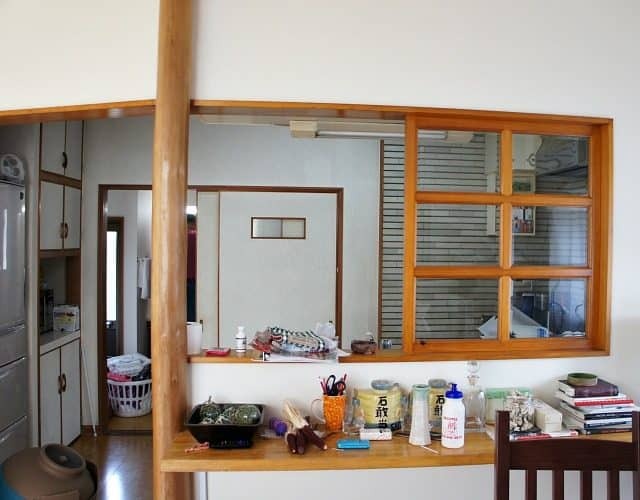 I’m so pleased at the progress we’ve made in our new Japanese rental home. A huge thanks to the challenges I participated in this month. Last week, I shared the $100 room makeover featuring our global eclectic master bedroom and today it’s time for the New Year, New Room Refresh Reveal hosted by Casa Watkins Living. First, let’s revisit the inspiration board. The space is very small but I managed to squeeze in enough elements to get the global eclectic style I was after. Looking at the befores and afters, I’m kind of shock what difference the few changes made! I wanted to break up the dull tile and cabinets with warm wood tones, copper, and a fun botanical print. I used many of the same copper accents in our last kitchen, like chalkboard and copper seasoning jars and DIY Ikea glass canisters. We were lucky to find a wood kitchen cart at the local thrift store. I changed the wood knob to a brass pull and hung a pineapple print from Minted. Command strips are working so far on the tile so I’m keeping my fingers crossed. Having the kitchen cart and pots and pans rack really helped open up countertop space and create more storage. 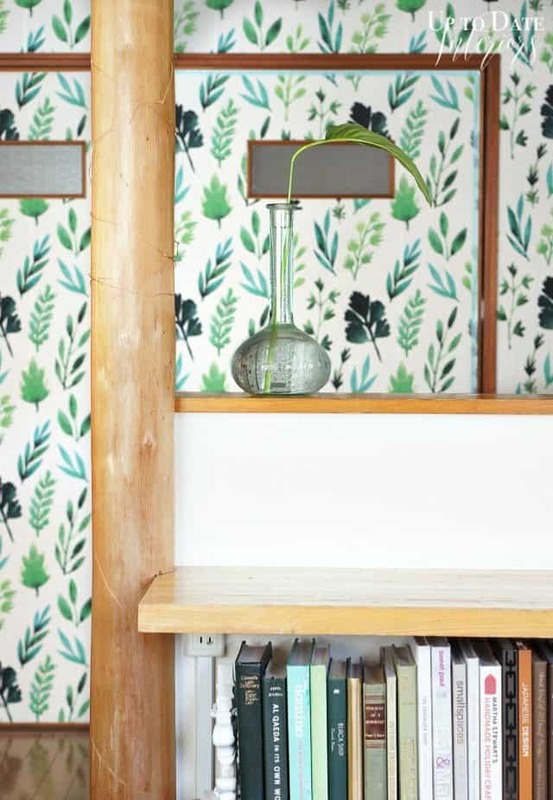 When we first walked through this house, I knew immediately that I wanted a bold wallpaper in this space. The kitchen is so dark but opens up to a bright living area. It feels much more cohesive now. Especially with plants carrying the green hues throughout the house! I can’t wait to show a complete tour of this floor. It’s super cute! A little boho and definitely global eclectic. Here’s the view, looking out into the piano studio/living area from the kitchen sink. The only thing on the to do list I wasn’t able to complete was to replace the cabinet hardware with repurposed copper hardware from our last rental kitchen. Unfortunately the size was too small. 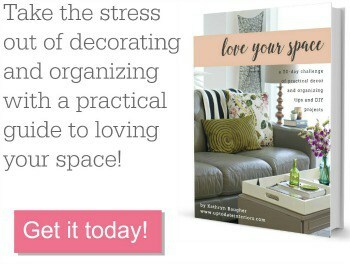 If you love the vibe in this small space, you can acheive a similar look with this shopping guide. 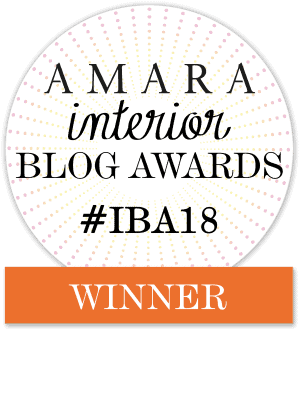 Please join me in visiting all the other amazing reveals of these talented bloggers! I can’t wait! 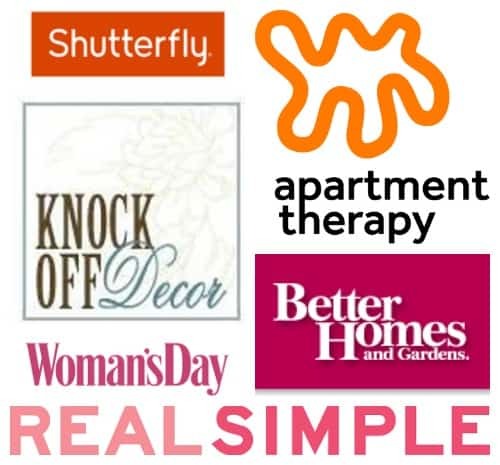 A huge thanks to these sponsors for helping us achieve our to do lists for this challenge! 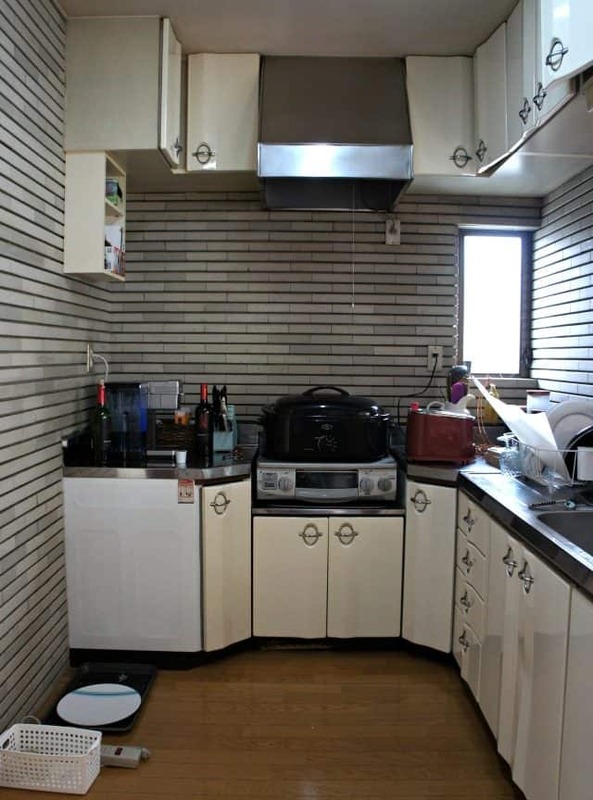 omg that is a small kitchen. I will never ever ever complain about the size of my small kitchen ever again. I love who your brightened it up and added some small touches that really make a difference. Way to go! Amazing Kathy!!!! I’m blown away with your ability to transform this small space and make it look so much larger and definitely more stylish! Beautiful transformation and I’m loving the way the backsplash/wall pops next to the new wallpaper! I am loving the vibe of this kitchen and I bet your family is thrilled to have the kitchen in order. I also like the wooden elements. So good! So. Much. Style! You totally worked it, and I’m still loving that paper!! Looks great! loving that paper so much and i love how you’ve made this your own! Thanks Cassie! It’s starting to feel like home. The wallpaper is gorgeous and does a great job brightening up the space. I love the hanging pots and how much pattern the rug adds to the kitchen. Very pretty! This is so pretty Kathy! I’m loving those copper pans and that area rug! Just love the style that you added to this space. The wallpaper looks great, as does the copper pots hanging. Everything looks amazing. Thank you so much! Come see us! The wallpaper gives life to the space and I adore seeing it come through from your living area. Love the refresh girl! Seriously Kathy, you are hands down amazing! It doesn’t even look like the same place, and heck if you ever move, I’m thinking they will want you to leave everything as is, it’s so great! I hope so! I wanted to cry when I removed the floral paper from our last kitchen cabinets. lol Thanks for the sweet words. You are ah-mazing!! AND tackling 2 spaces this month..I give you such an incredible amount of props!! Your kitchen is stunningly beautiful. Your paper was made for a home like yours and the copper pans and pineapple print also stole my heart! Lovely, lovely job, Kathy! Can you do this to my kitchen!?!?!?!?!?! ?There’s just so much awesome here I can’t hardly contain myself. I really love it. I truly do. You are a rental kitchen magician! It’s beautiful! All the color you added makes such a huge difference. I love posts like this because you show people that a small space can be pretty and functional! Thank you so much Sara!! What a sweet comment. I needed that! Looks amazing. Thanks for sharing Kathy.